College students (juniors or seniors) majoring in science or engineering can gain real-world work experience and skills through St.Germain Collins’ internship program. If you have the desire to get hands-on experience and training in field techniques, interpretation of data and safety protocols, and working with mentors, this internship may be right for you. Successful graduating seniors may be considered for a full-time position following the internship. We are seeking a motivated intern to work 40 hours per week for 12 consecutive weeks based out of Westbrook, Maine. 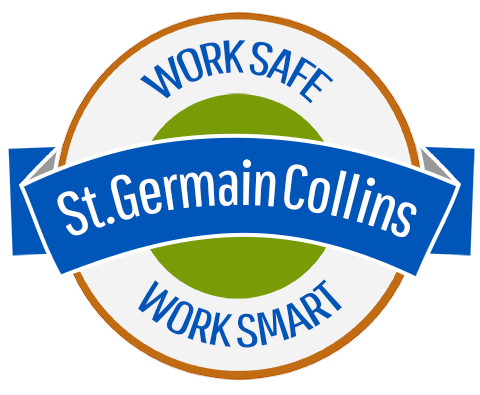 This position will support St.Germain Collins’ environmental team in investigating contaminated sites and helping to clean them up. Most of the time will be spent in the field – commercial and industrial sites in the Northeastern US – assisting our field scientists in collecting soil, water and vapor samples, logging field data, reviewing and compiling data and writing reports, and supporting clients’ compliance with environmental, health and safety regulations. Training provided. Current college student (junior or senior), majoring in science (environmental science, geoscience, chemistry, biology or other lab-based major) or engineering (civil or environmental). Strong organizational ability, attention to detail, and verbal and written communication skills. Ability to problem solve by applying critical thinking skills. Team player, action-oriented, positive attitude and strong inter-personal skills. Strong computer skills (proficient in Microsoft Office: Word, Excel, Outlook). Routine travel using a personal vehicle (mileage is reimbursed) within New England. OSHA 40 Hr. HAZWOPER training (preferred). Physical demands: While performing the responsibilities of the job, the intern is often required to sit or stand for extended periods of time, walk (at times over uneven surfaces), reach with arms and hands, and to stoop or kneel. Wearing personal protective equipment (PPE) and/or clothing (e.g. steel-toed boots, tyvek suits, etc.) is routinely required. At times, lifting of equipment weighing up to 50 pounds may be required. Work environments range from office to industrial indoor settings to outdoors in all weather conditions. • Cover letter and writing example from a science class (e.g. lab report, research paper, etc.). $7,200 (based on 12 weeks, 40 hours per week, $15.00/hr) minus taxes, etc.